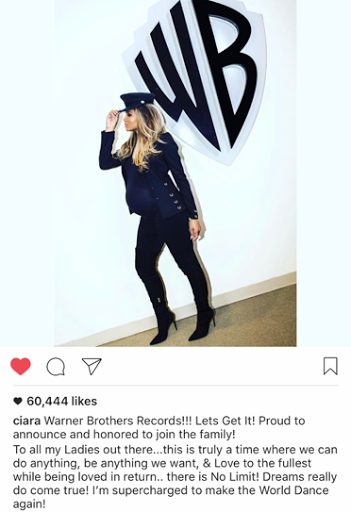 2017 looks to be treating Ciara very well with a new baby on the way & partnering with a new management company last year her career seems to be going to new heights. CiCi has signed a new deal with Warner Bros. after parting way with Epic Records last year. "We welcome Ciara to Warner Bros. Records and look forward to the next chapter of her storied music career." The exciting news comes after various endorsement deals that she signed onto be apart of last year.